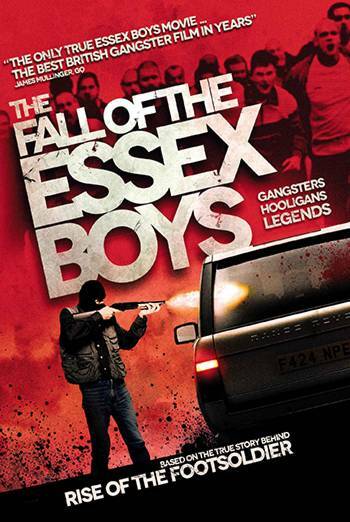 THE FALL OF THE ESSEX BOYS is a drama based around the events leading to the murder of three drug dealers in a rural Essex village. There is use of very strong language ('c**t') and strong language ('f**k'). Scenes include bare breasted women sitting astride men as they thrust together. There are also sequences set in a lap dancing club in which naked women gyrate around poles and a bare breasted woman sits on a man's lap as he pushes his hand under her skirt. Three men are shot while sitting in a parked vehicle, with blood spraying onto the windscreen. Another scene shows a man being punched repeatedly about the head, leaving him bloodied, while another man is stabbed with a knife. Scenes of drug use include people smoking cannabis, taking Ecstasy pills, and snorting of lines of cocaine. These are accompanied by frequent verbal references to drugs and drug dealing. The work as a whole does not condone or endorse drug misuse, however.